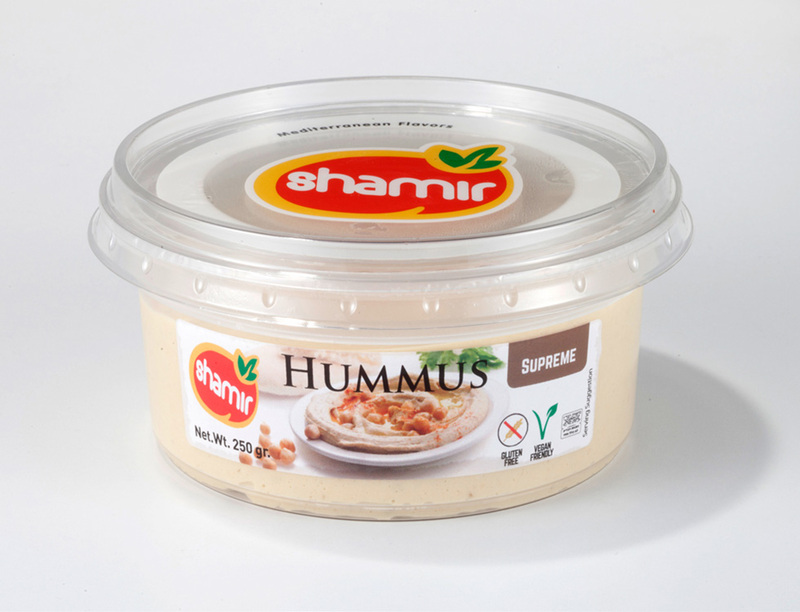 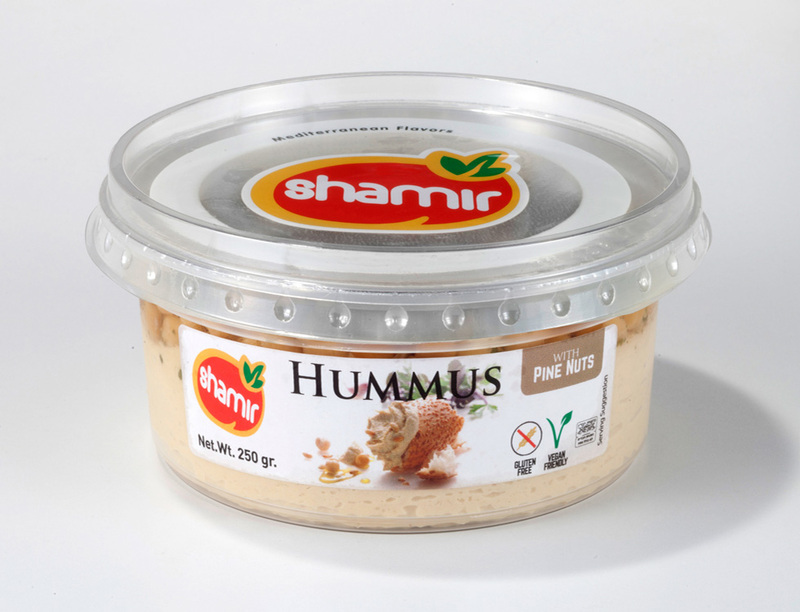 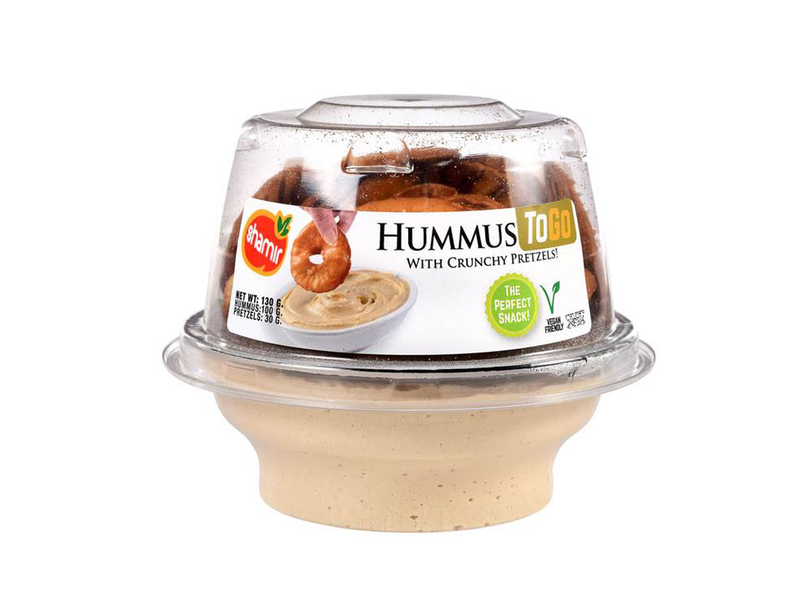 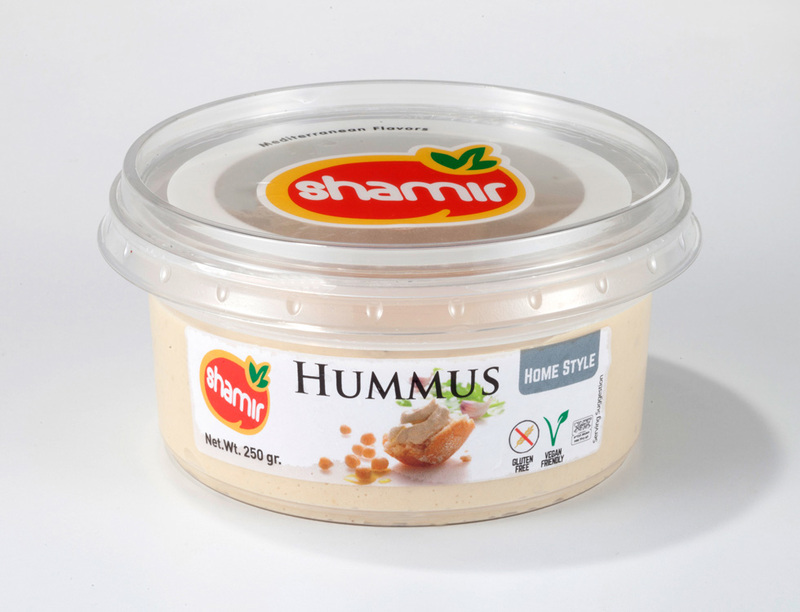 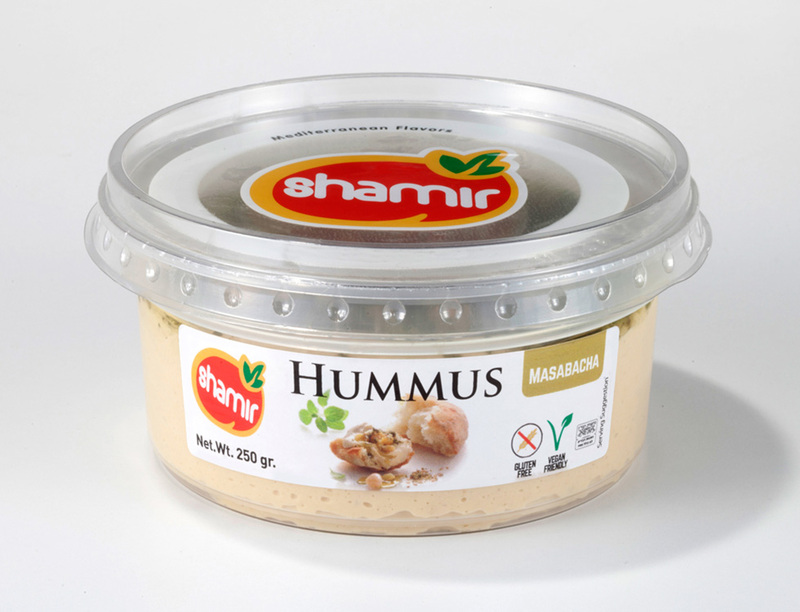 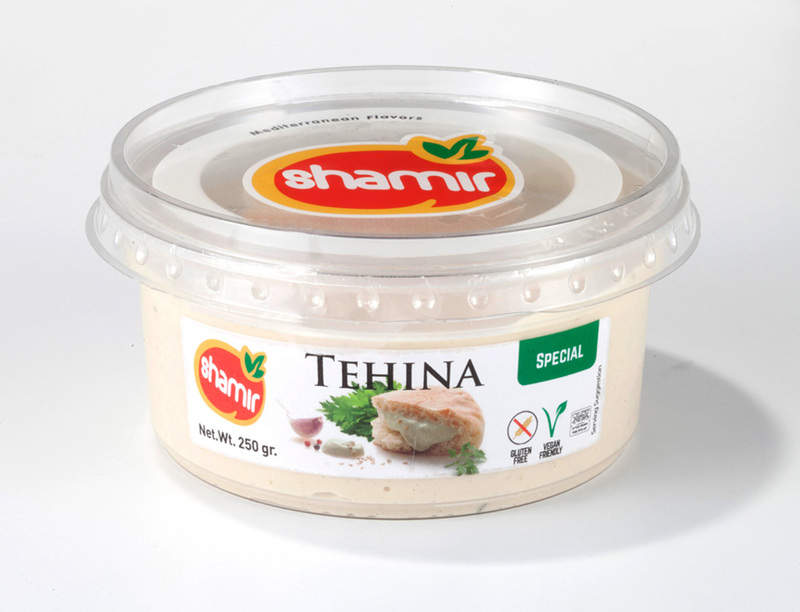 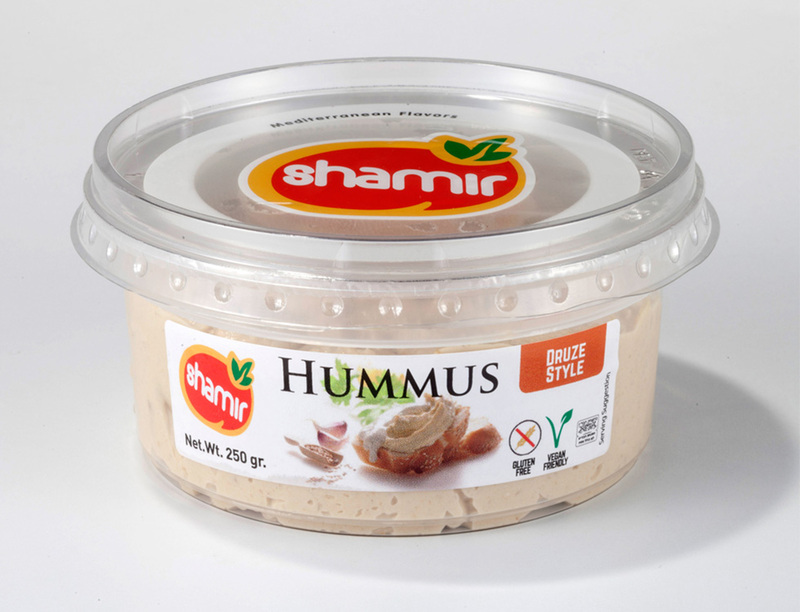 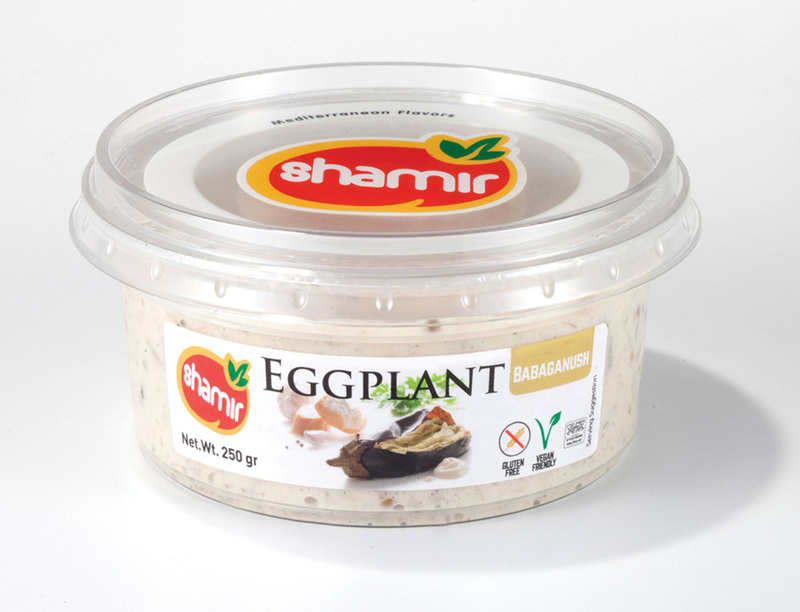 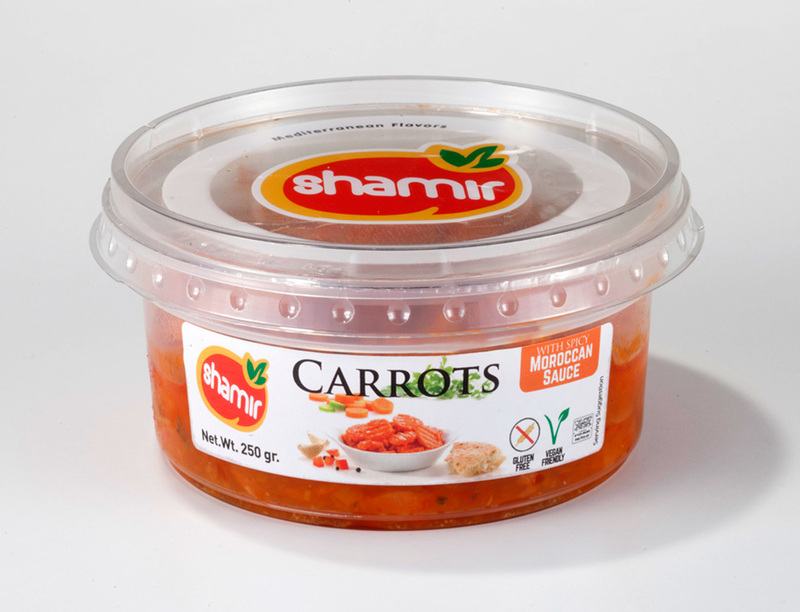 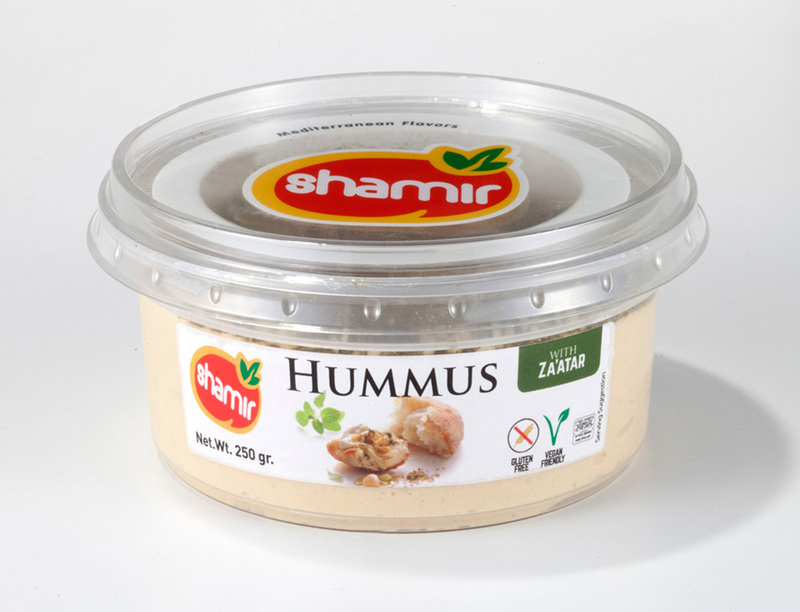 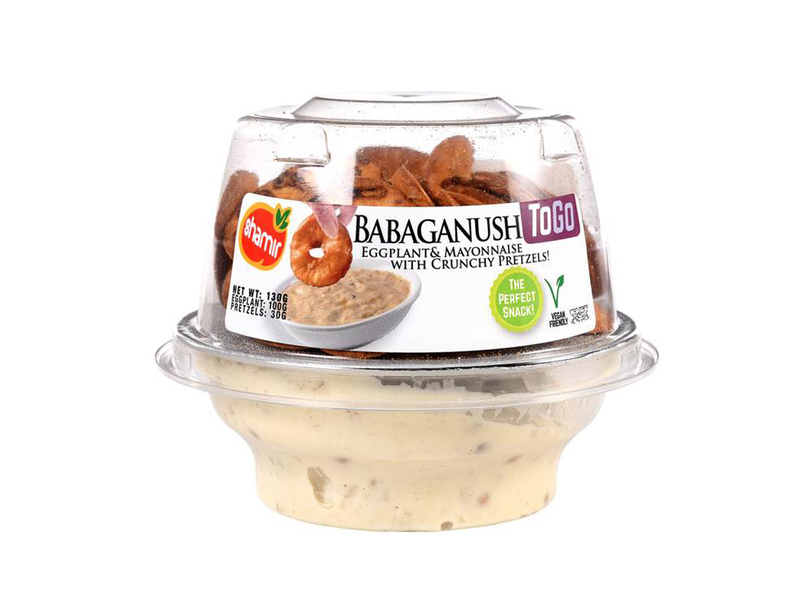 Shamir Salads was establishes in Israel in 1974 and was the pioneer in producing and marketing chilled Hummus salads for the retail market in Israel. 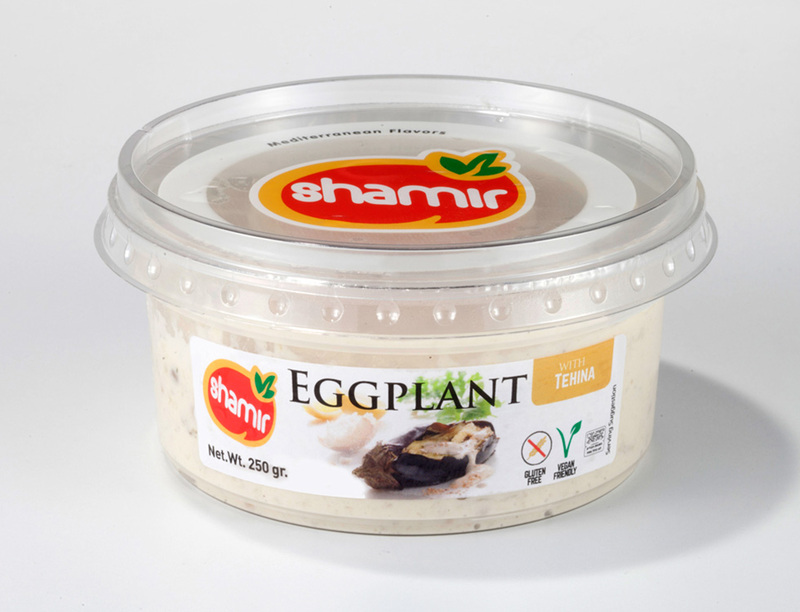 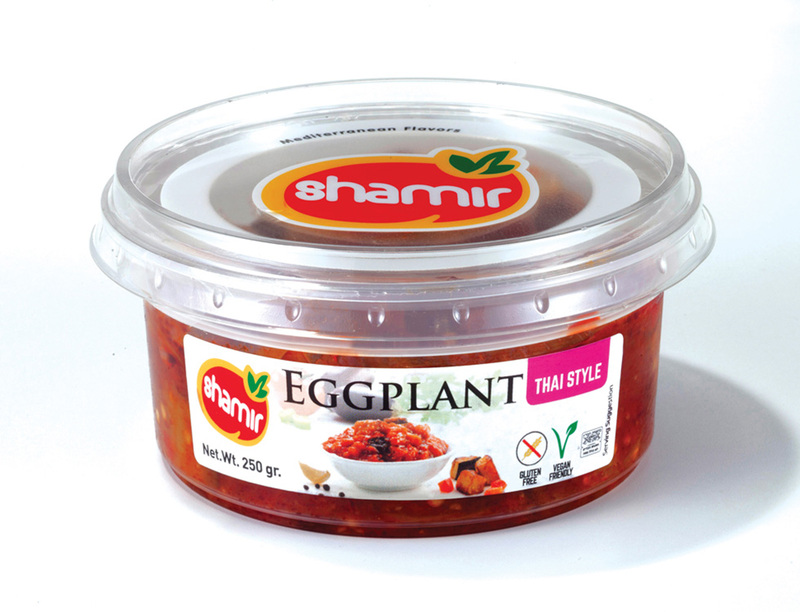 Today Shamir Salads is one of the three largest chilled salads companies in Israel. 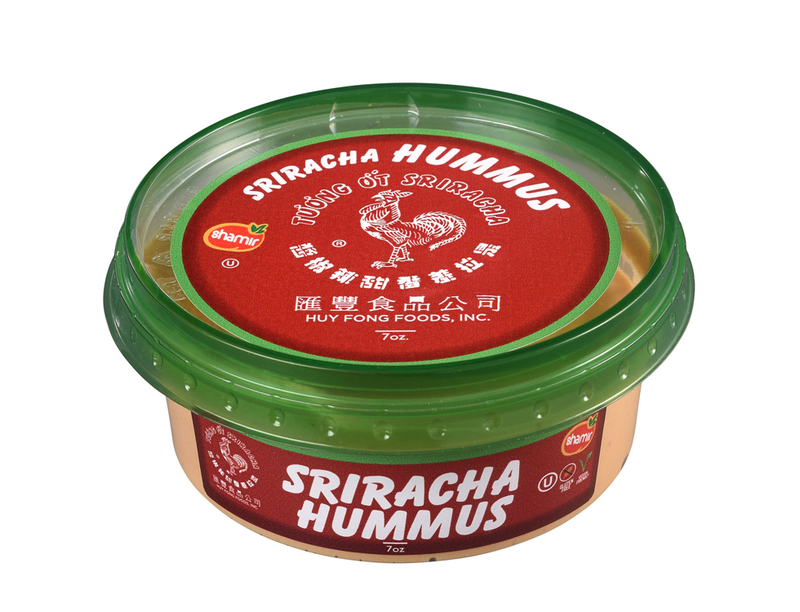 We are proud to announce that we have partnered with BFY Food Group, and Huy Fong Foods, the manufacturer of “The Original Sriracha Sauce”, to produce and distribute throughout the U.S. and Canada, a unique new dip - “Huy Fong Sriracha Hummus”. 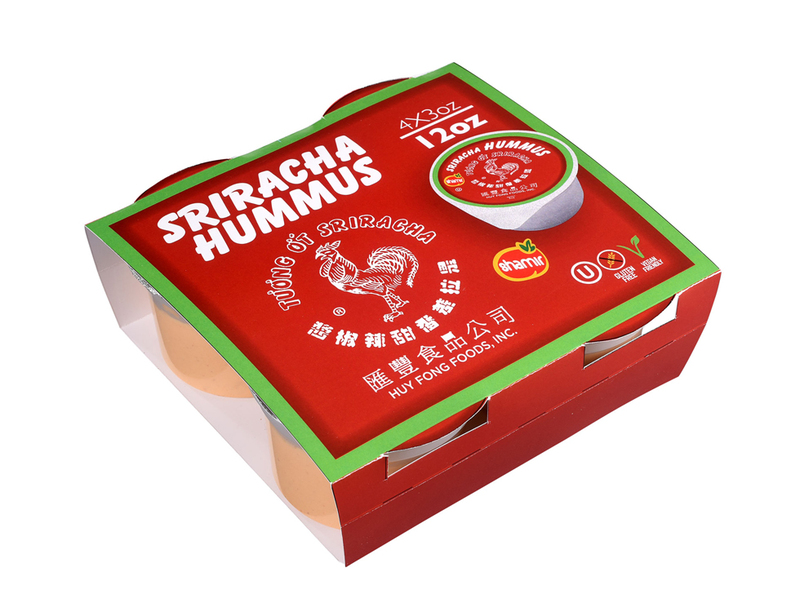 This is a product you are sure to enjoy! 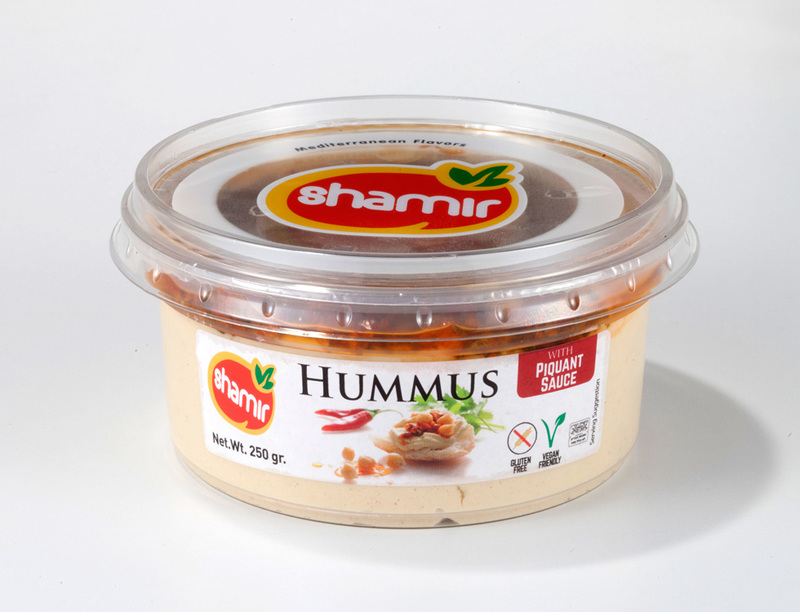 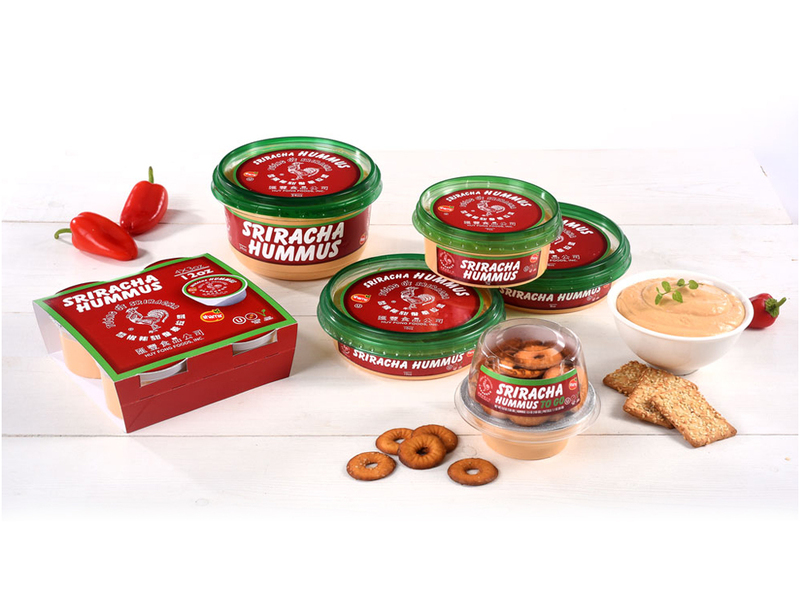 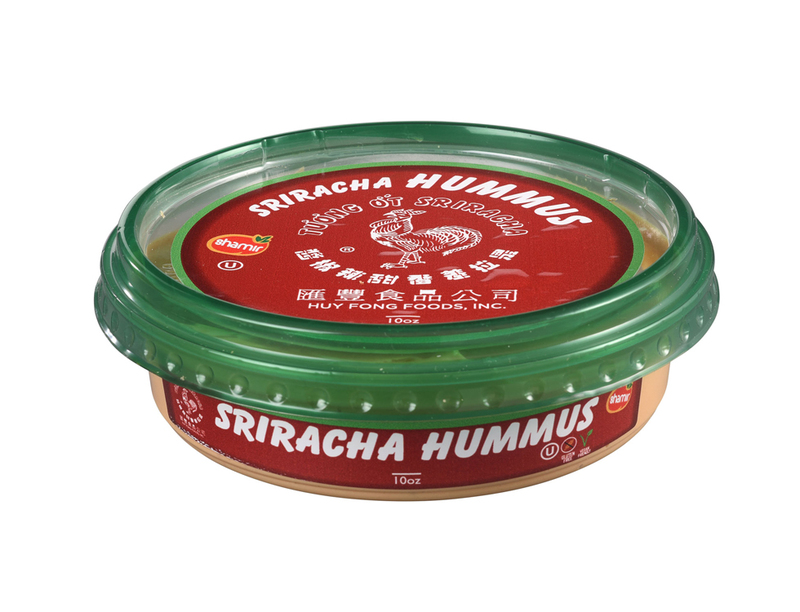 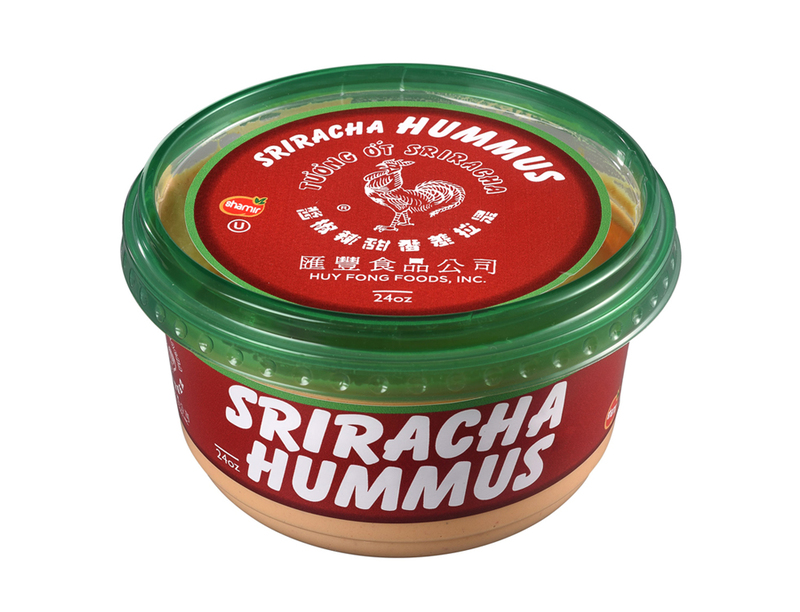 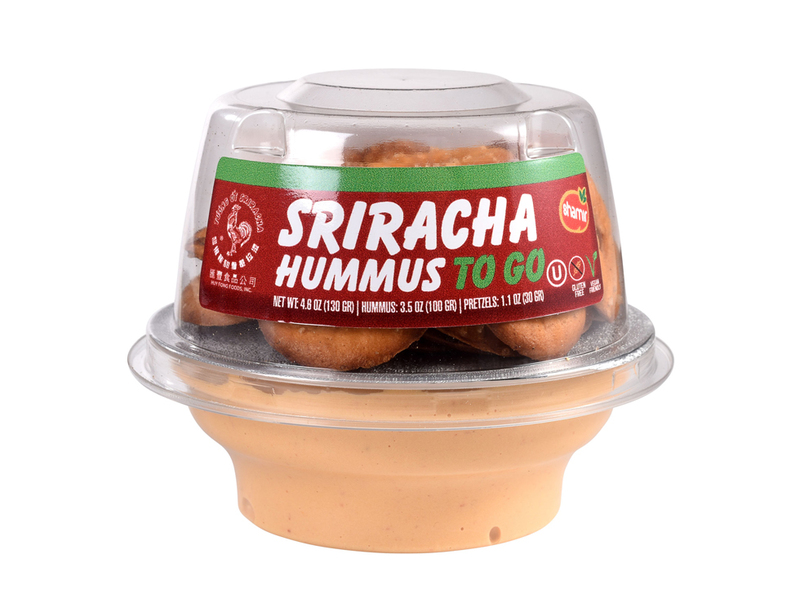 A high quality and authentic Sriracha Hummus from SHAMIR. 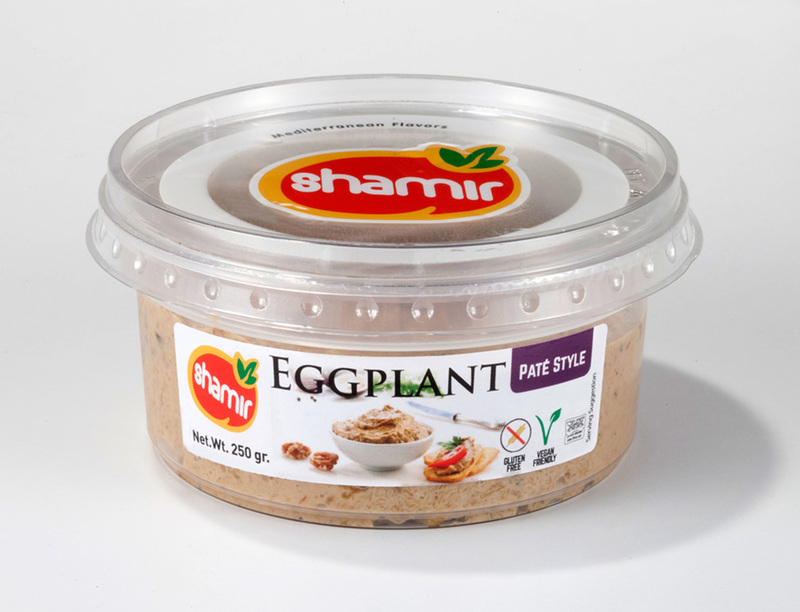 Houmous with Top Za'atar decoration. 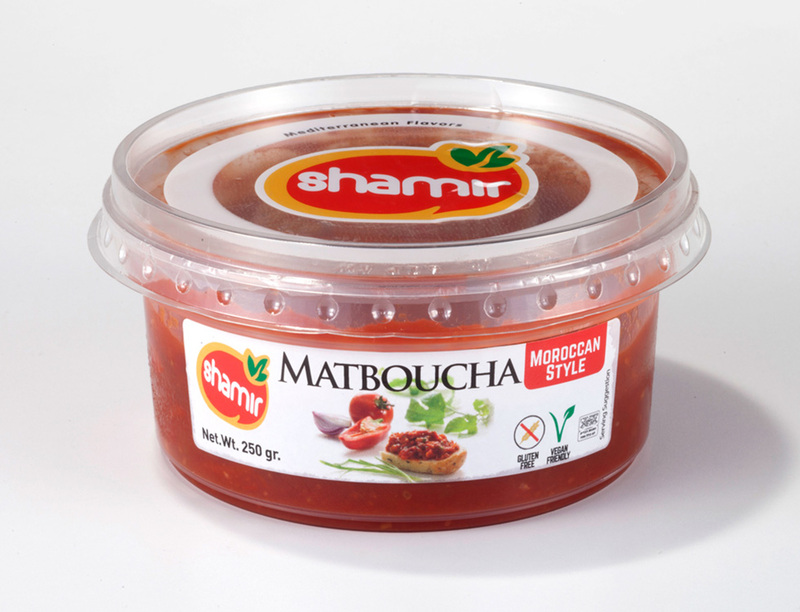 Top Layer: Chickpeas cooked with Sauce Piquant. 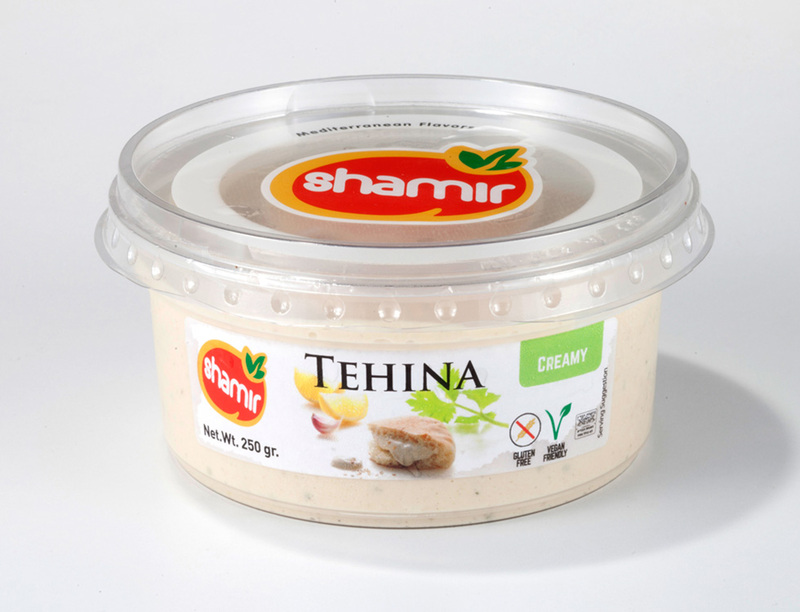 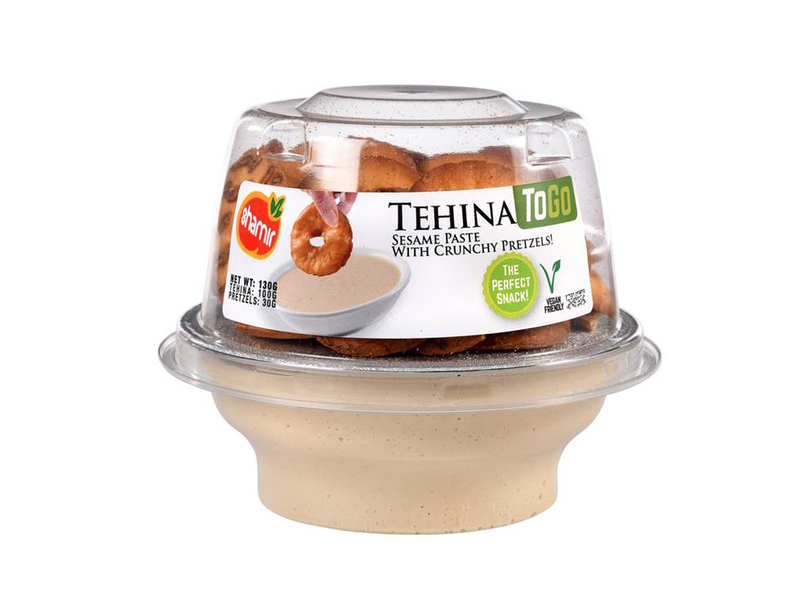 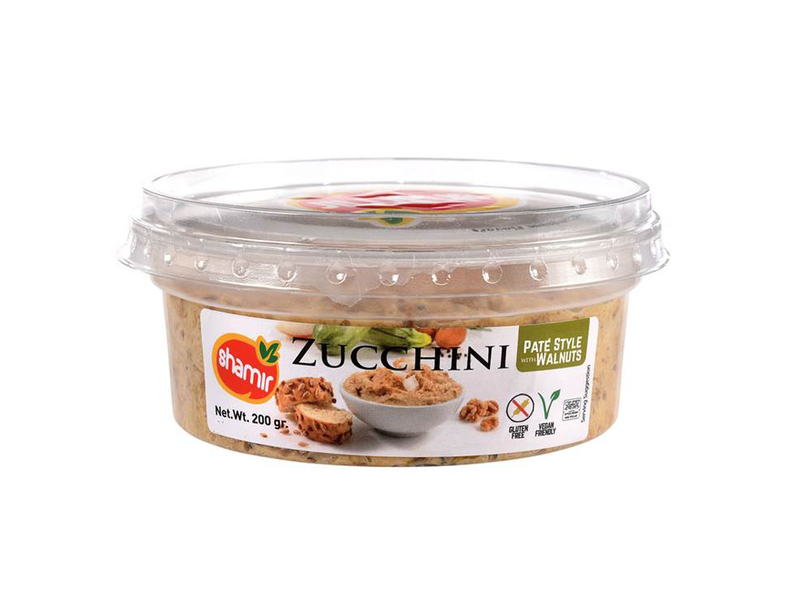 Houmous with grained texture rich with raw Tehina and spices. 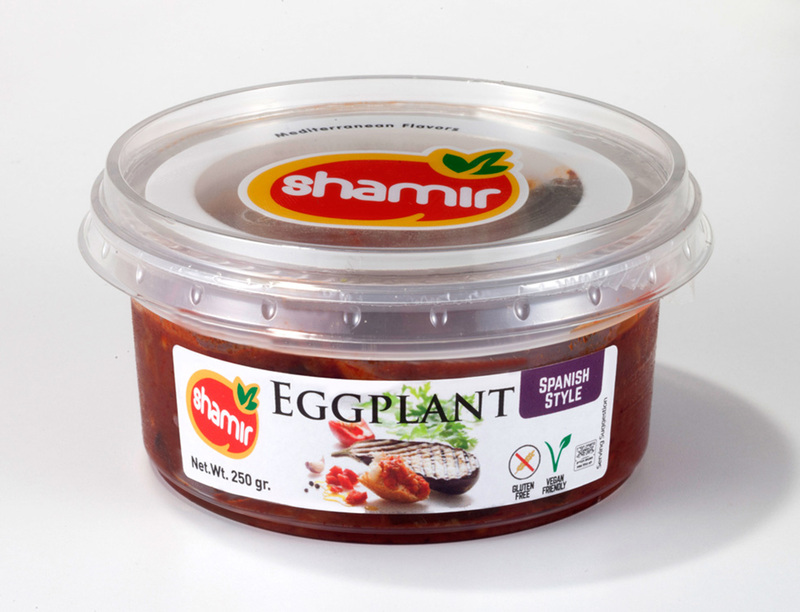 Fried Eggplant and Onions with spices.